My teaching interests are indivisibly conjoined with my research areas. I believe that research and teaching should always collaborate closely and that these activities complement each other in academia. I have an interdisciplinary background with a research approach and interests that span communication and media studies, literary and cultural studies, and critical urban studies. 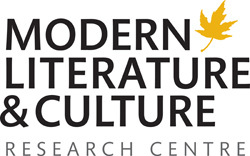 In general, my research and publications to date have centered on two core areas: 1) the critical studies of urban space and aesthetics in modernist and post-modern cultural context; 2) the contemporary Canadian literary and visual responses, alongside their sociological implications, to spatial restructuring as well as social segregation in Canadian politics and culture. My doctoral research is underpinned by a concern with actively engaging in knowledge mobilization and public outreach. Teaching has provided me such a precious opportunity to share my own knowledge with my students, contribute to my students’ intellectual pursuits, and disseminate important information and expertise to students. I have gained experience in teaching at universities as a Teaching Assistant (TA) since September 2012. As a doctoral candidate in Communication and Culture at York University, I have been fortunate to teach tutorials in the Departments of Communication Studies and Social Science. Since September 2017, I have been a Course Director in the Department of Communication Studies, where I have developed and taught a fourth-year research-based course on modern consumer culture. Prior to joining York, I also gained teaching experience as the Head Teaching Assistant in the Department of English at Ryerson University. Teaching at the university level has been extremely rewarding: not only does it engage and refine my own research, but it allows me to introduce students to the world of critical inquiries, help them tackle problems and challenges from various perspectives, and learn from the diversity of perspectives. In my classrooms, I have helped students comprehend course materials and generate intellectual discussions derived from lectures, but also developed my own pedagogical practices to facilitate student learning experience, such as bringing everyday examples and objects to aid theory studies and making visual outlets (e.g., videos and images) to complement literary texts. I take pleasure in innovating and renovating my teaching methods to reflect my own belief that learning is tied to interactions and the need to modify teaching methods based on students’ needs. My teaching style strives to be interactive by engaging students in dialogues, and often encourage students to engage in dialogues with each other. I have designed and developed in-class exercises that help students gain necessary academic skills, which are transferable to their future careers, such as analytic writing, critical thinking, and professional presentations.